I was driving around Issaquah looking for something interesting and was pleasantly surprised at my choices — a root beer drive in, a restored vintage gas station, cute stores, etc. The day’s winner was Boehms Candy at 255 NE Gilman Blvd. 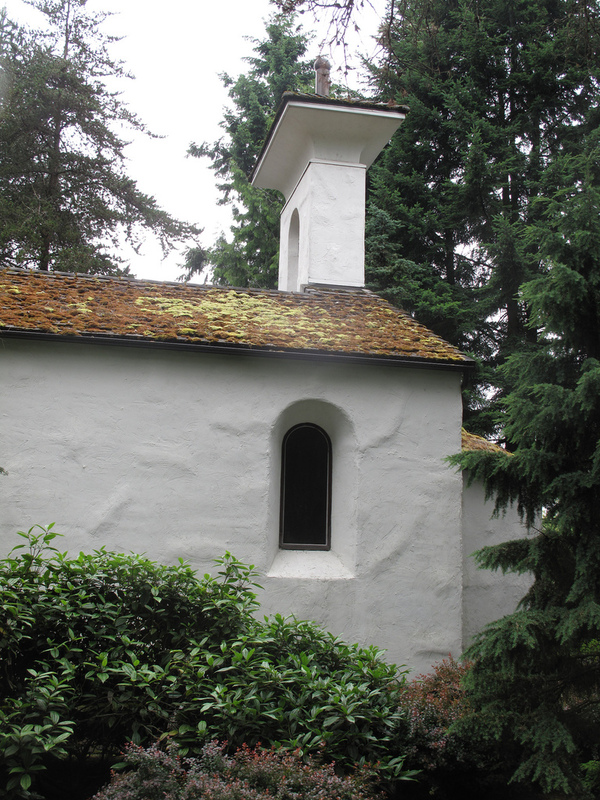 Issaquah, WA 98027. The company began in Seattle’s Ravenna neighborhood in 1943 and in 1956 they moved to their current location. 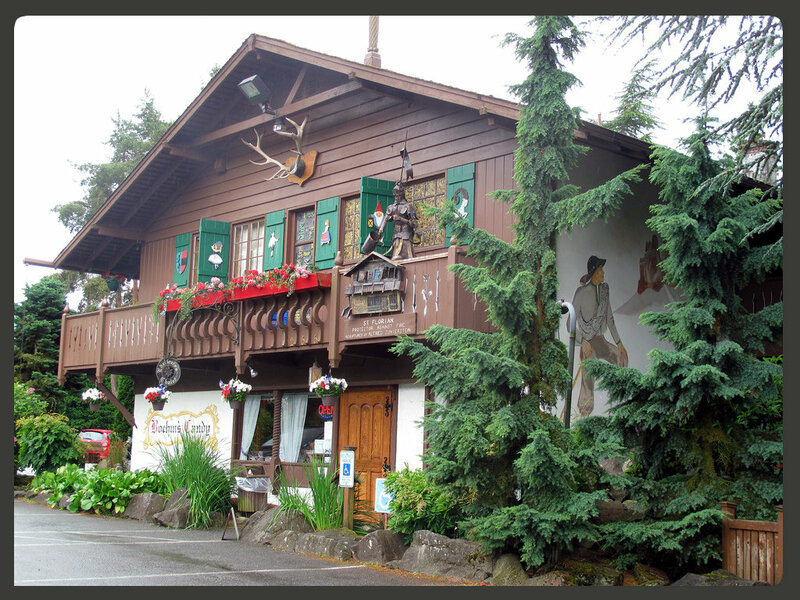 The store is located in the “Edelweiss Chalet”, the first Alpine chalet in the Northwest. 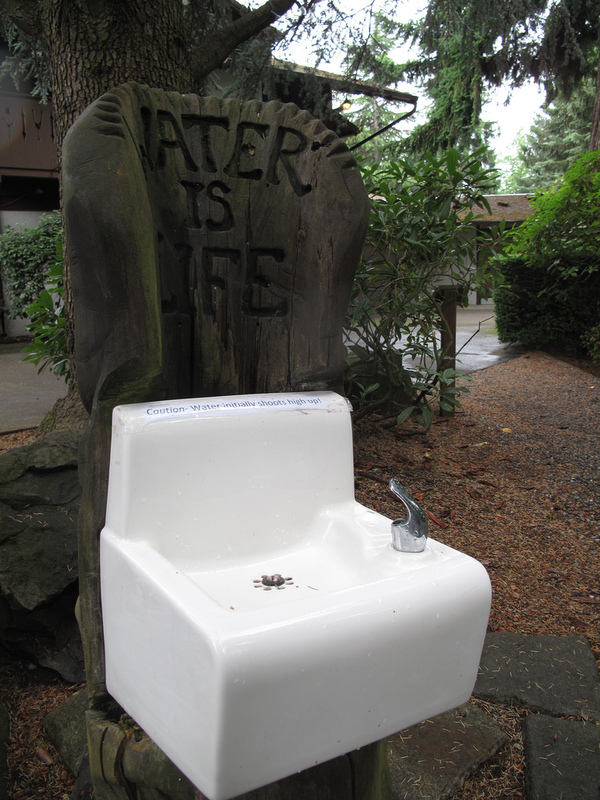 In addition to the store and the candy manufacturing facility, there is a replica of a 12th century chapel near St. Moritz, a fountain, a statue of William Tell, a park area with a decorative fountain and an enthusiastic water fountain (water is life). It occurs to me that I know nothing about William Tell except he has a theme song. I learned he was a folk hero of Switzerland. Looking over Wikipedia, I remembered that he is know for shooting an apple off his son’s head. 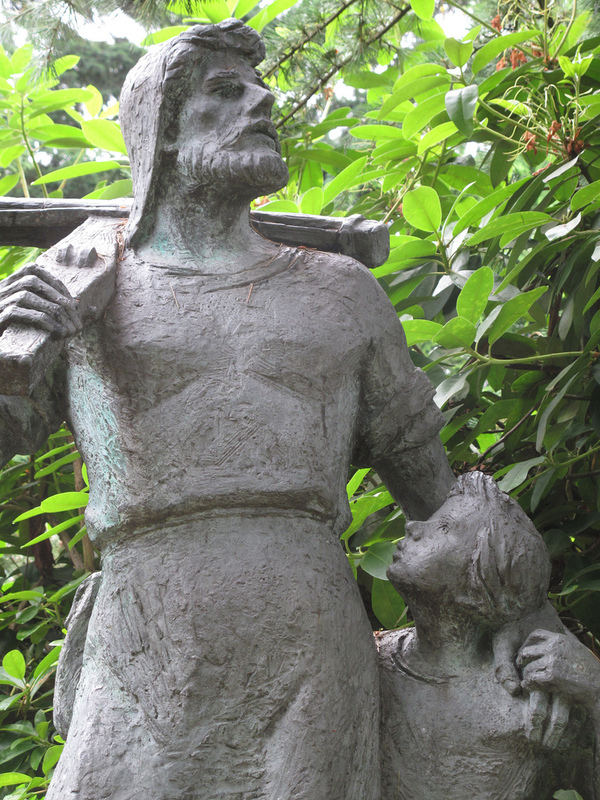 The statue shows Tell and his son, Altdorf and is (I assume) a replica of the original statue by Richard Kissling in 1895. This entry was posted in Art -- there is art here!, Churches, Issaquah, Places of the Spirit, Stores and other places that sell you things, Uncategorized, Unique Shopping (stores with some personality), WA State - King County and tagged Boehmite, candy, Church, folk hero, Issaquah, sweets, Swiss, Switerland, treats, William Tell on June 23, 2013 by admin.